Stadio Silvio Piola was built in the 1970s. The stadium officially opened on 18 January 1976. 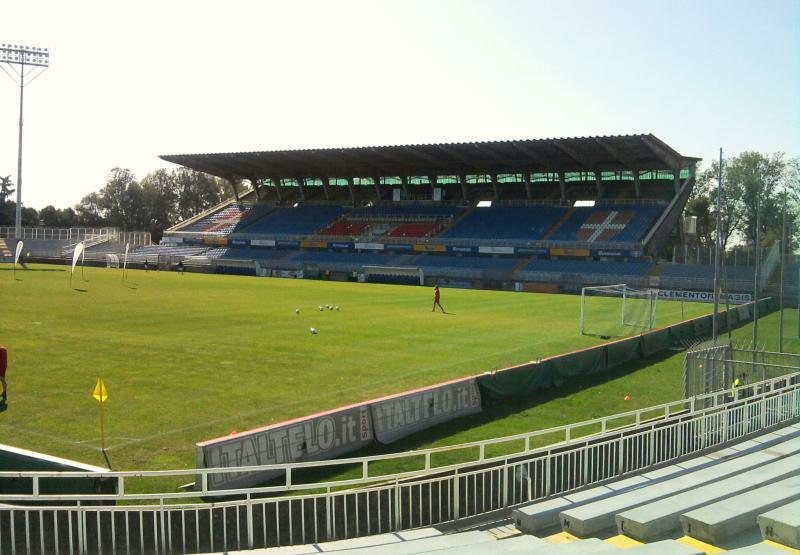 A few days later, Novara played their first match at the stadium against Juventus (2-1). 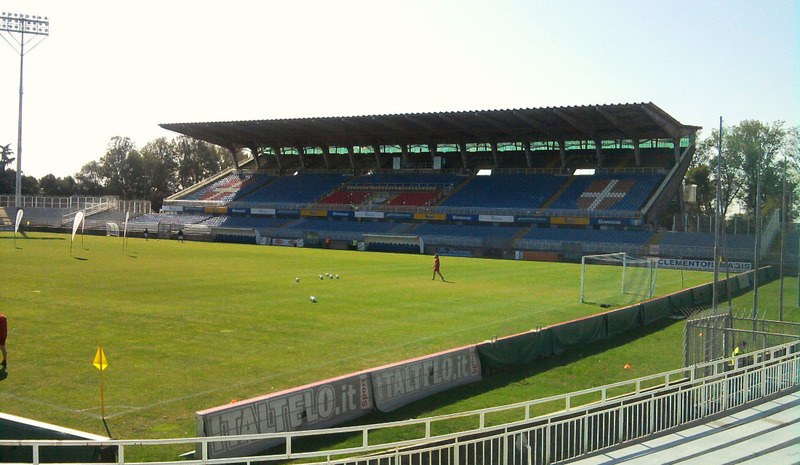 The stadium was initially generically called Viale Kennedy, after the street it was on, but received its official name in 1997. Silvio Piola, all-time top scorer of the Serie A, played the last seven seasons of his career in the shirt of Novara. In 2010, Novara installed an artificial pitch at the stadium, and after the club promoted in 2011 it was – together with Cesena – the first club with an artificial pitch in the Serie A.
Stadio Silvio Piola is located on the south-western edge of the small city of Novara, about 2.5 kilometres from the city centre and slightly more from the train station. From the train station, you can get to the stadium with bus 4 and 8. Take bus 4 in the direction of Via Ancona. The bus passes right in front of the stadium. The journey takes about 15 minutes and buses leave at least twice and hour, though there is no service on Sundays. Alternatively, take bus 8 in the direction of Via Ancona or Lumellogno. Bus 8 also passes right by the stadium, and the journey takes just over 15 minutes. It has regular service, which is reduced on Sundays to about once every 90 minutes. Tickets for Novara matches can be bought online through Vivaticket, or in person at any of the branches of local bank BNP (pdf). Tickets are furthermore available at the stadium on the day of the match. Ticket prices range from €13.00 for a seat at one of the curves to €32.00 for a seat at the main stand. Tickets are €1.50 more expensive if bought on the day at the stadium. Novaracalcio.com – Official website of Novara Calcio. Turismonovara.it – Tourism information for the Novara province. Sun.novara.it – Novara public transport information.